I dragged my dungeon buddies on achievement runs again, and this time we hit up Atal'dazar. So, we started up getting ready for Bringing Hexy Back. For this achievement, for every boss, one of us has to be hexed all the time in a fight. The hex doesn't last long so it's basically bounced between two people. It doesn't sound hard, but basically those 2 aren't doing much DPS! 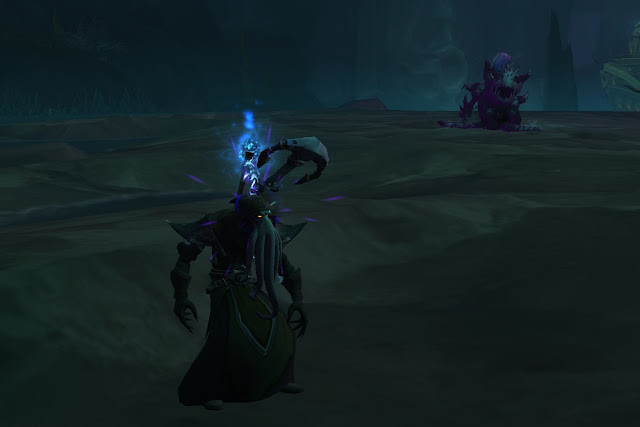 What we did was bring one of the Zandalari Witch Doctors alive for the whole time (or get a new one) and keep it CC'd for the boss fight whilst we bounced a hex between us. We did attempt every boss with this, but we actually couldn't do it for the last boss. We did however, manage to do it for Priestess Alun'za! For that achievement we had to let one of the adds soak up the blood pools and get enraged and turn into a Fatal Corruption. This was kinda hard because the boss healed herself to full because none of us were in corrupted blood (and also, one of us was always a frog). We attempted to do the Yazma achievement but couldn't do it and have one of us hexed all the time so we just killed it normally (with our hex person) and got rid of that achievement. So, we ran the dungeon again, and headed back to Yazma to get the achievement, It's Lit. 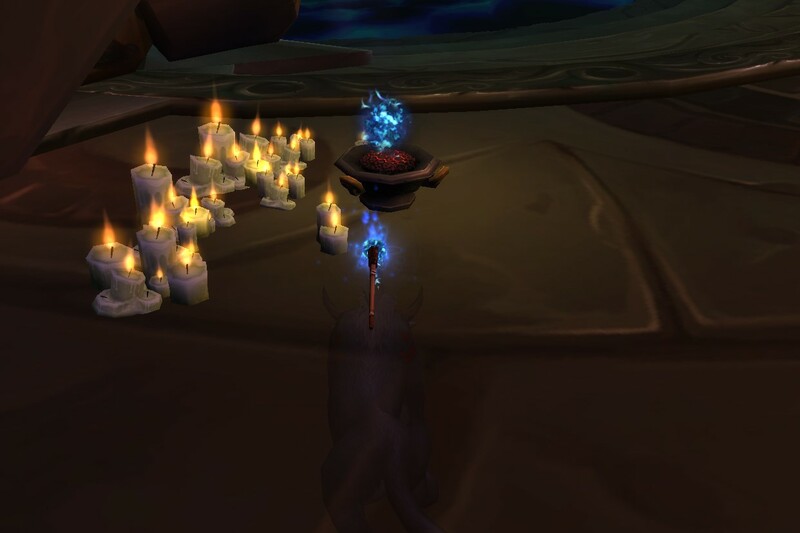 For this achievement we had to light all 4 braziers (which were in each corner). 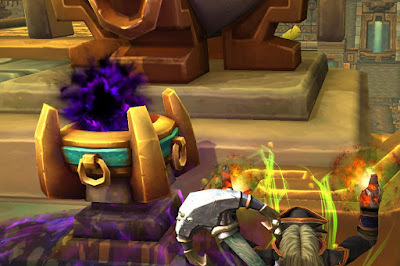 To light the brazier, when the boss casts Soulrend, you need to be standing on the brazier so the purple crap will hit it, and that lights the brazier. The braziers do go out after (before the next soulrend, so maybe 30 seconds I think), so everyone has to be standing on it at the same time. Get the boss low first, wait for the soulrend and then kill the boss ASAP. Easy! After that, we headed off to Shrine of the Storms. The first achievement, Breath of the Shrine, needs us to pick up a flame at the start of the instance and carry it and light some braziers further down. 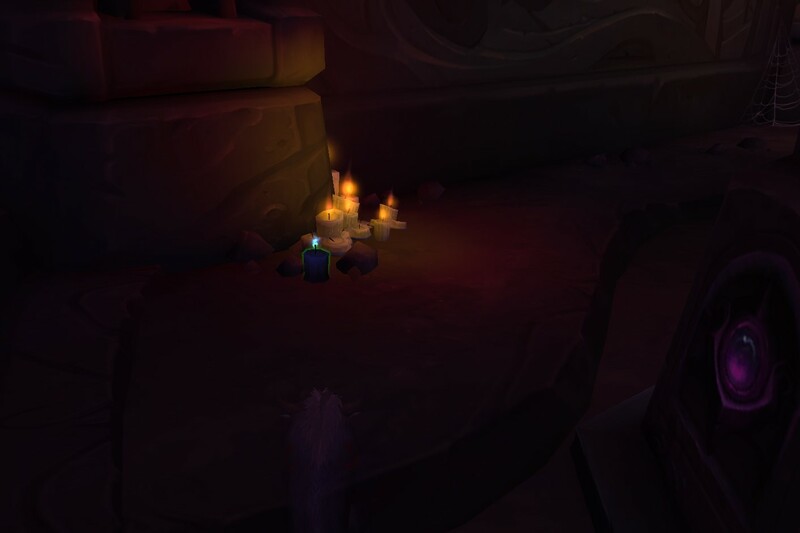 Apparently the easiest ones to light are the ones next to the third boss. So you can do this achievement without doing any bosses. Heh. I have a blue torch on my head. The next achievement was at the third boss, Lord Stormsong. All you have to do is never bump into an orb. Just do it quickly and nobody gets mind controlled and then you're done! The last achievement, Trust No One, was a little bit trickier. In the water before the boss, you dive down deep and you'll see orbs. Touch that orb and you'll get a debuff, Maddening dreams, which makes you hostile to other players for all except 10 seconds. You even look like an octopus face dude! In those 10 seconds I can heal the others, but the implication is that if you're hostile to the others, when you're DPSing the boss, you DPS them as well (plus they get no heals). So, single target DPS and then healing when able. Do the fight as normal, try not to take too much damage (and don't hit your friends), and win! Now, if only I could get that Boralas achieve... Galestion did his in a mythic plus! HOW!